We got a fantastic lineup on the Liquid Lunch today! 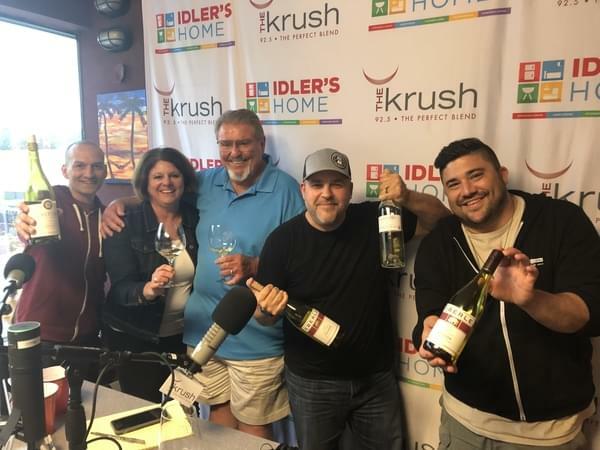 The Godfather,Gary Eberle of Eberle Winery is in once again along with David Sailer, Associate Winemaker of Castoro Cellars and Staci Jacobs of the Central Coast Wine Competition. We’re talking all about the CCWC and how to enter! Gary even gives us his three reasons why a winery should NOT enter a wine competition. We also get the rundown on some fun upcoming construction for Eberle and what’s new with Castoro. Of course we have some amazing wine, we taste the 2018 Sauv Blanc from Castoro and Gary brings in a 4 year verticle of his Viognier. Registration is officially open for this years Central Coast Wine Competition, the competition takes place on June 19 & 20.